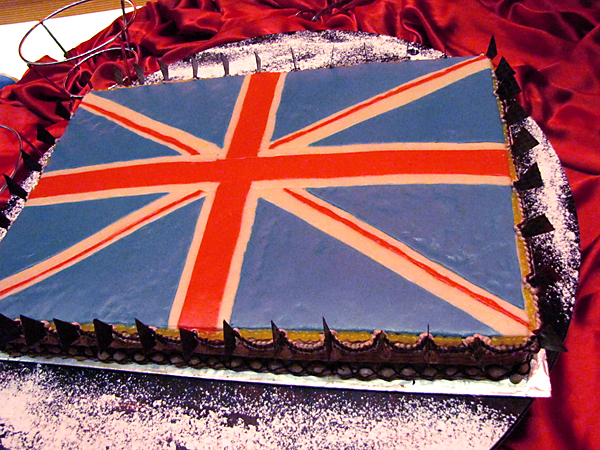 Last week we went to a fun event about the culture of the British Isles. 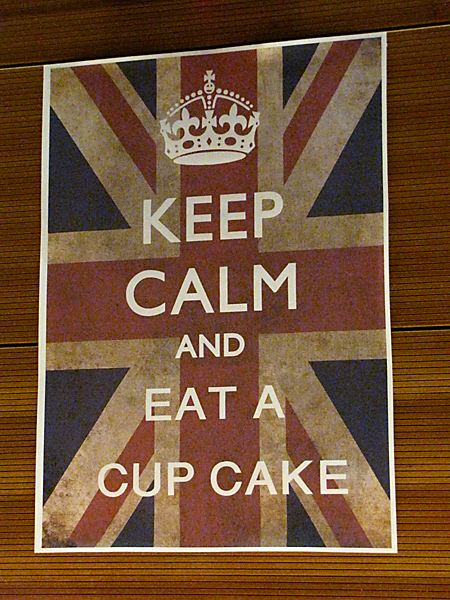 It was a lot of fun, they had tasty British food, and some cute posters and signs. 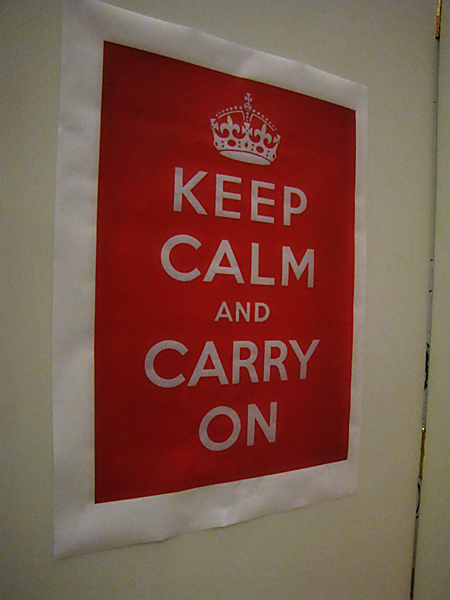 This is a World War II era propaganda poster from England inspiring the British people to keep a stiff upper lip. This play off of the original poster was my favorite. I would love to have this hanging on the wall in the kitchen! 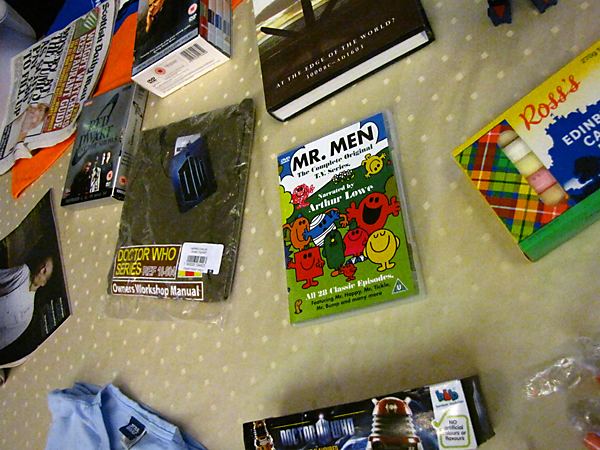 Mr. Men, Dr. Who, Red Planet, and other products from the British Isles. Apparently all of these sports are real and have real people participate. 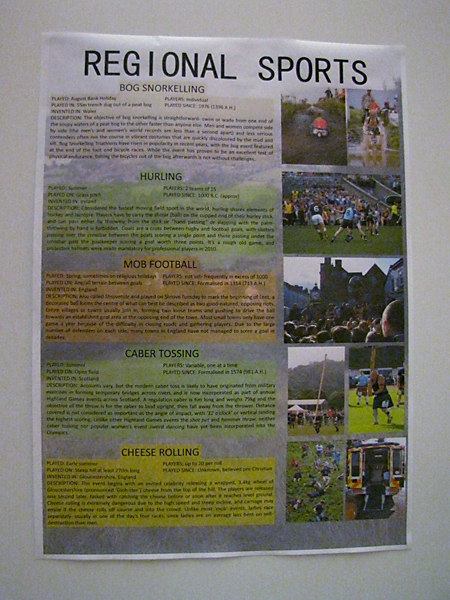 I'm not sure I'd ever go bog snorkeling or cheese rolling, but it was fun to see videos of people having fun doing it. This poster was so cute! 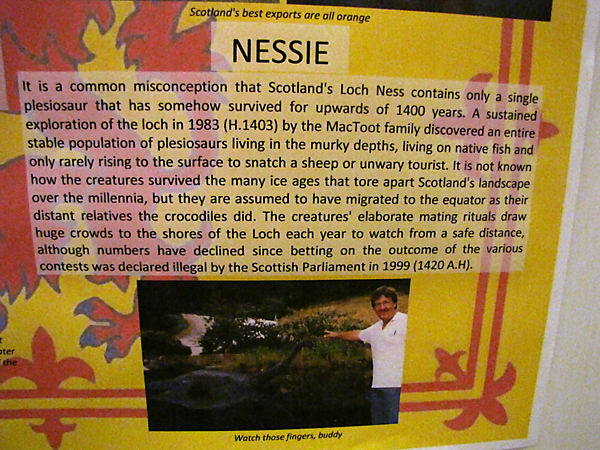 Read it closely and you'll have quite the laugh. The caterers made this cute cake. I'm not sure what the flag was made out of though. It didn't taste like fondant, but wasn't regular icing either. I'm not even sure if you were supposed to eat it as it was kind of gummy. All in all, we had a great time listening to music, watching funny videos, and learning about the differences between the United Kingdom and the British Isles. There's a similar event showcasing Pakistan tomorrow night, so it'll be interesting to learn even more about countries we've never seen!